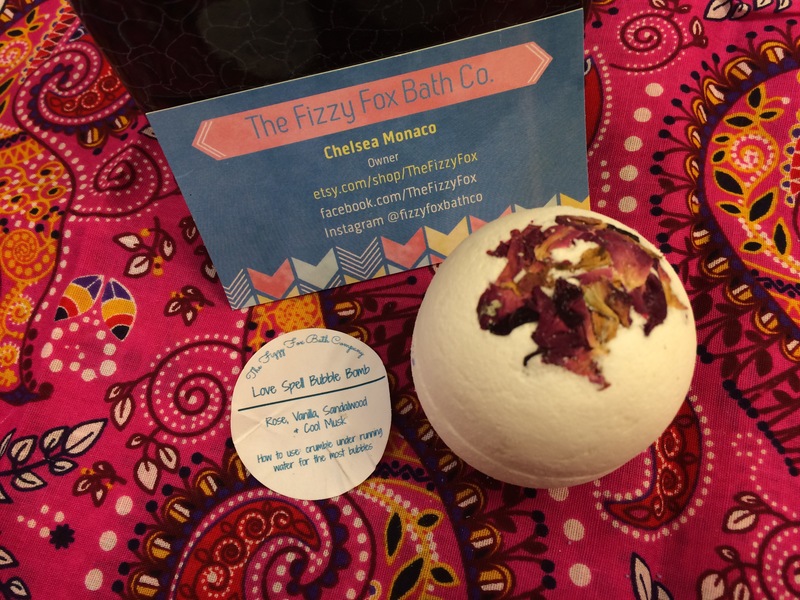 The Fizzy Fox Bath Co. is a small bath & body company located in Ventura, California. 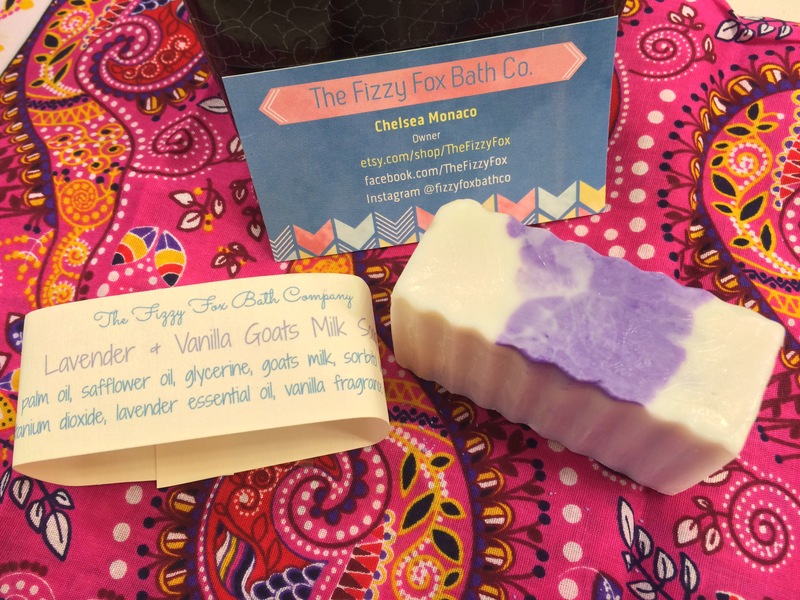 The owner Chelsea, is a busy mom and wife but still finds time to create magic in her kitchen by making bath goodies! 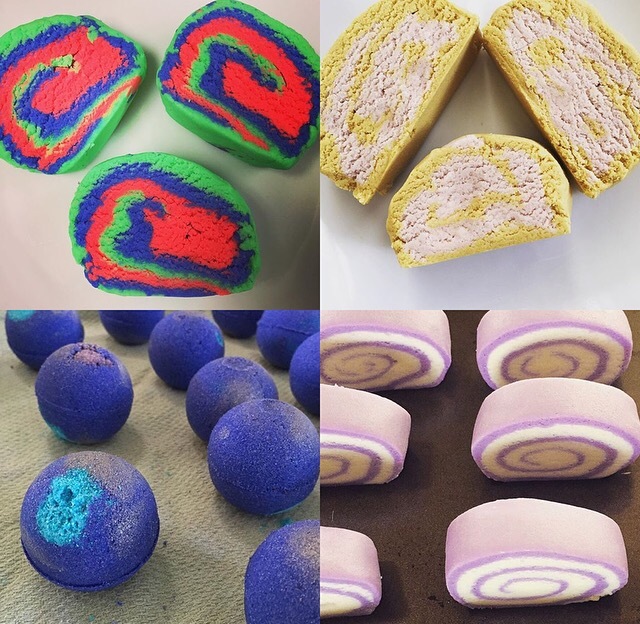 💜 Her lovely shop on Etsy offers everything from bubble bars, bath fizzies, bath bombs, handmade goat milk soap bars, gorgeous bath salt mixtures, sugar scrubs, shower melts, I mean she really has it all! A wide variety of different choices for the different types of us bathers 😉 Not to mention a wide variety of aromas to send you off into deep, deep relaxation land. She truly has enormous talent and deserves all the publicity she can get, because I am no joke raving about her products! She was kind enough to send me some products to test out and review for her, and also decided to leave me a 10% coupon code to give to MY WONDERFUL LADIES who follow and read my posts actively! How awesome is that??? ⭐️ I will leave everything you need to know about this little Cali based bath company and your discount offer further down below, but please do keep reading if you are interested in seriously pampering yourself during bath time! Can we just take a minute to appreciate how gorgeous this soap bar is? 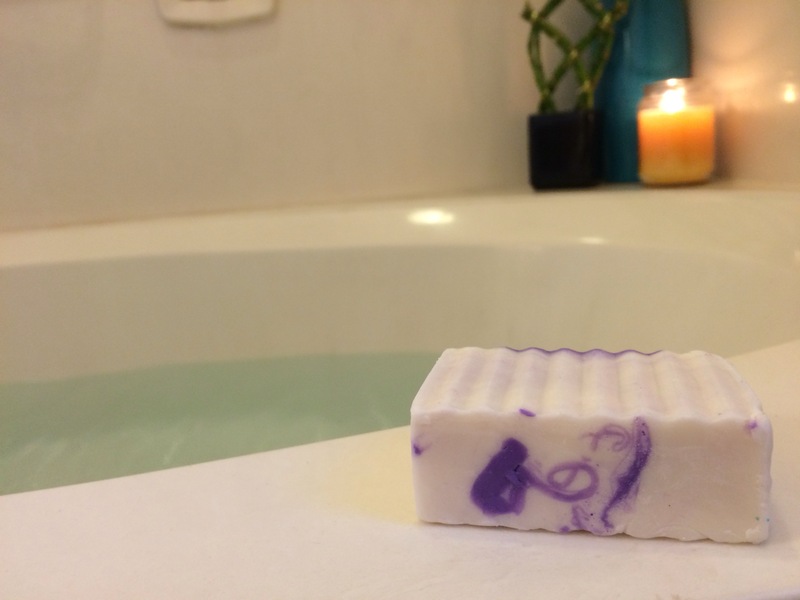 💜 I love all natural products and also when they look like they are all natural, but when they have a hint of color like this vibrant purple marbled through it… I am such a sucker in love! 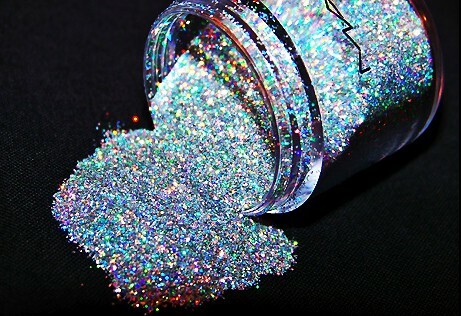 I am a girly girl and pretty things please me more than anything, anyone agree? Haha 💕😁 These soap bars would make beautiful gifts for a friend, holidyas, for baby showers, or especially yourself! First characteristic I noticed right away when unwrapping this bar, was how unbelievably soft & silky the texture of it was in my hand. And it didn’t stop there, my entire body was feeling like a piece of bread being buttered up with lavender-vanilla butter! Such an awesome feeling 😃 My skin feels so smooth & soft right now and it is all thanks to Chelsea and her miraculous goat milk soap! Thank you Chelsea, you are incredible ❤️ Now the next thing I noticed was the smell… Imagine standing in acres of fresh lavender, while baking a vanilla cake. I don’t know why there is an oven out in the middle of a lavender field, or why you’re out there baking a cake to begin with, but trust me it is GOOD STUFF. 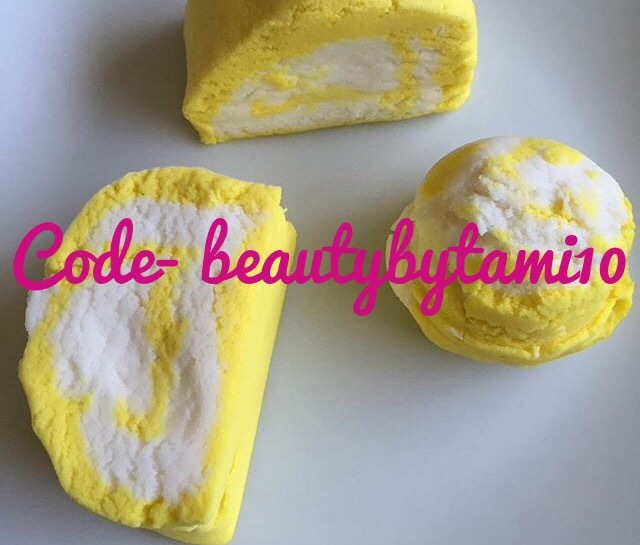 This soap smells amazing and I am so excited about it’s overall appearance and what it does to benefit my skin! You simply must try if you are a fan of natural & hydrating bar soaps ❤️ If lavender isn’t your favorite, she also offers other different scent combinations to appease everyone’s individual taste! This is another stunning bath product! 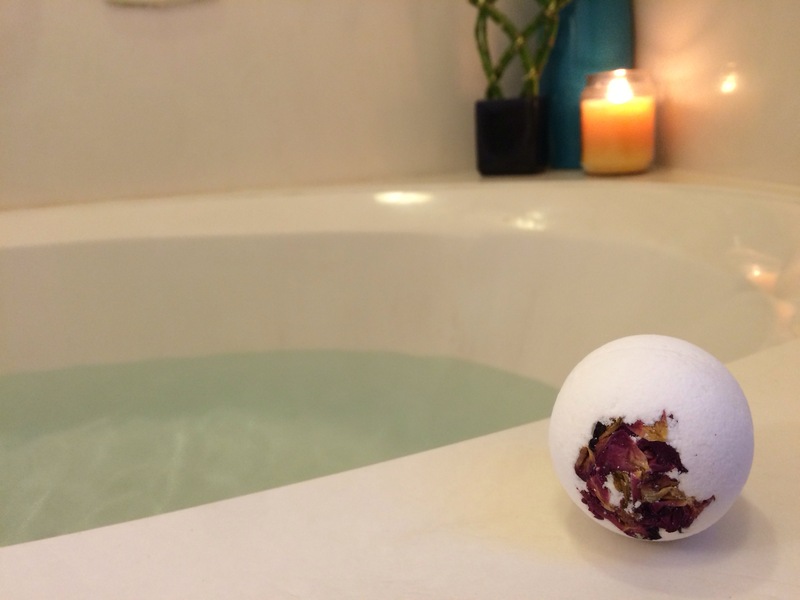 If any of you are familiar with LUSH’s “Tisty Tosty” bath bomb, this one is quite similar in looks🌹 Not too much the scent- This one is created with Rose, Vanilla, Sandalwood and Cool Musk. Such a wonderful classical kind of smell. But the snow white bomb with the dainty little rose petals throughout, really does have a gorgeous appearance. Not only in it’s solid form, but also when you have the little rose petals drifting around the surface of the water while you are bathing! 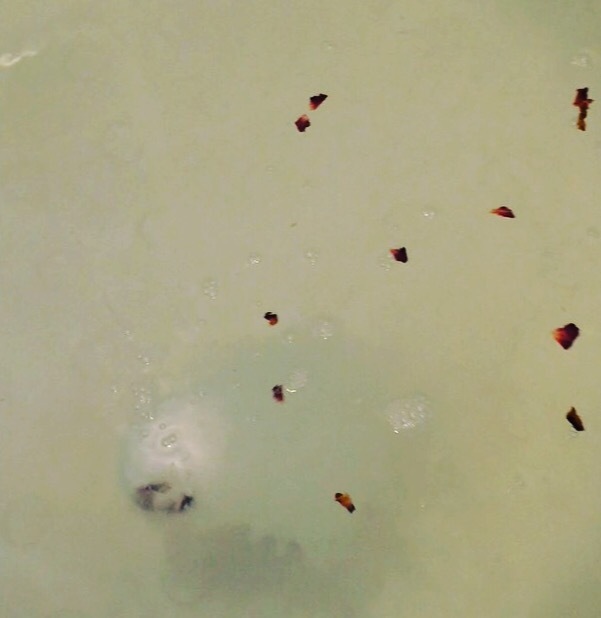 When you first pop this in the water, the bomb begins to release the petals as it rolls throughout the tub & spouts bubbles! It certainly does make you feel like you’re under a “love spell” 💕 I have a video of it in action on my Instagram if you’d like to see for yourself! It is just so beautiful and graceful to watch. I also think it would be so incredibly pretty if you got a tall glass (air tight) canister for your bathroom sink area, and filled it with these lovely floral bath bombs for guests… or yourself of course haha ❤️😉 I smelt wonderful after using this one. When I took this out of the package, I was so excited. 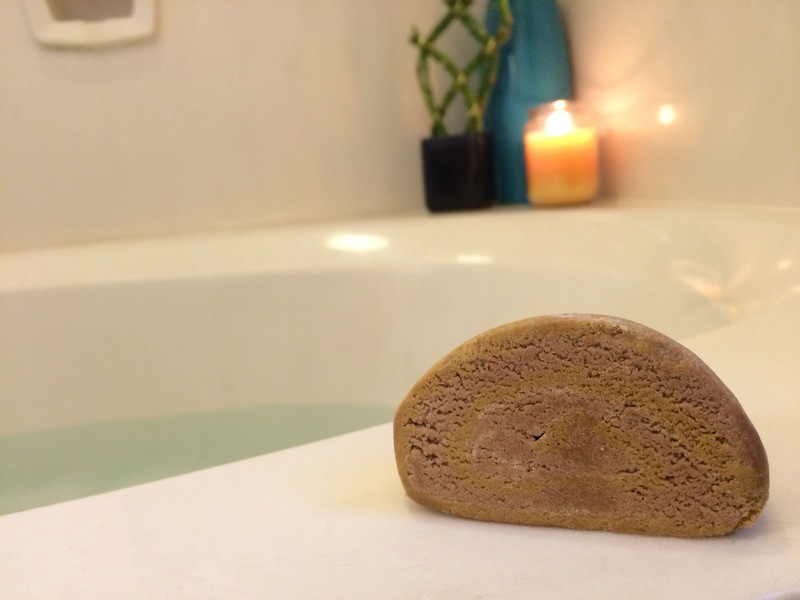 I just adore bubble bars and this one looks like a little cute fresh-baked cookie of some sort! It also had the scent of one… 😍🍪 These are fun because they produce lots of bubbles! 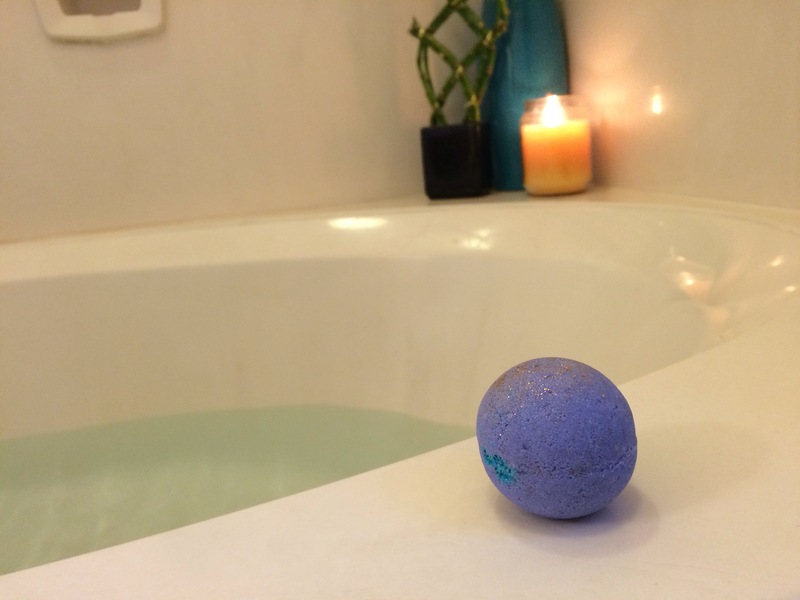 All you need to do it crumble the bar up under the running bath water and you will be graced with mounds of white bubbles. If the bar is too hard at first to break apart, just let the warm water run over it first for a minute and then pick it back up and begin to crumble! Simple 😁Before you know it you’ll be surrounded by delicious smelling vanilla creme bubbles! 💕💖💕 This product also made my skin feel delightfully silky 😍 I loved this one. Overall, I was VERY satisfied with everything I was sent! 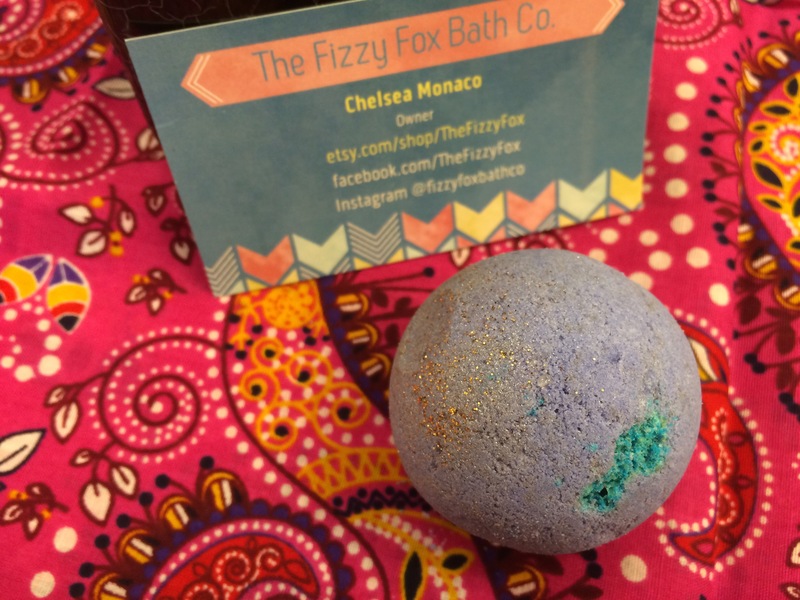 Each and every product had time, detail and love put into them by the lovely owner, Chelsea. 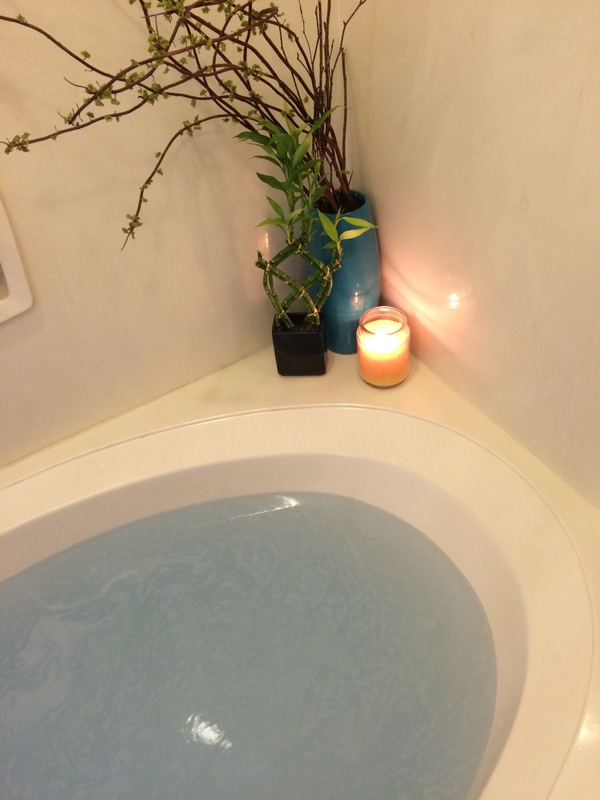 She has seriously shined in talent & creativity through each of these unique bath experiences she sent to me 😁 Now I just need to get my hands on some of her sugar body scrubs and bath salts! ❤️ NOW, I will give you your 10% off coupon code! 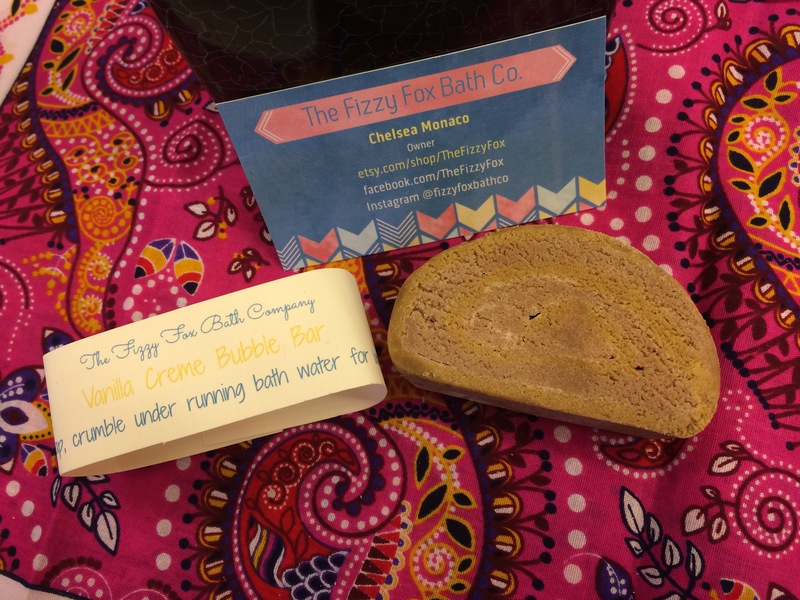 Pick something great that suits you perfectly, and don’t forget to review it on here for me to check out YOUR Fizzy Fox Bath Co. experience!